Bruce Banner is alive and on the loose - and now the entire world knows it. Soon the Hulk finds himself hunted once again - this time by the government, Alpha Flight, the mysterious Shadow Base...and the Avengers! Someone's going to find him first, but which option is least bad? It might not matter, because Bruce has bigger problems. Something terrible has infected him. Something with unspeakable plans for humanity. And the only one who knows about this dark infection...is the Hulk! Meanwhile, Carl 'Crusher' Creel was just trying to live. Now, to save what he's built for himself, he must do the impossible. 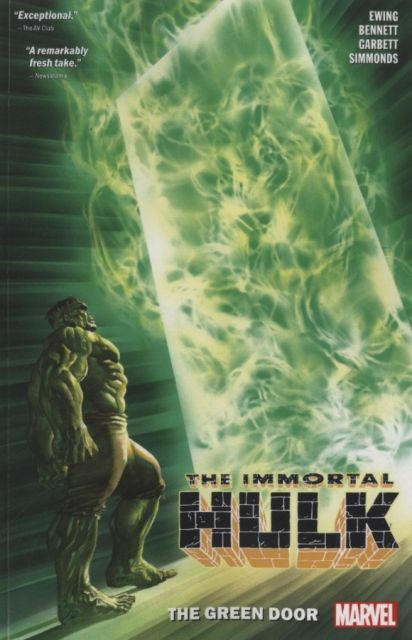 The Absorbing Man must kill the Immortal Hulk! But the Hulk is the one thing standing between the world of the living - and the Green Door! Diesen Artikel haben wir am 13.02.2019 in unseren Katalog aufgenommen.